XM-5 Oil Stabilizer Lubricant | HMF Oil Co. Ltd.
XM-5 OIL STABILIZER is a 100% petroleum lubricant: it is purely oil itself and contains no metal, graphite, wax or detergent additives. XM-5 OIL STABILIZER is designed for blending with any petroleum or synthetic based lubricant or fluid, to improve lubricity during use and after shutdown. As soon as mechanical movement takes place oil with XM-5 added rises to its highest point to instantly lubricate all moving parts of the engine. When normal engine heat has stabilized XM-5 returns to normal viscosity to await another cold start. XM-5 helps reduce tappet noise, assists to eliminate destructive acids from gas and oil that cause varnish carbon and sludge to form. The difference in performance is quickly noticed. The major cause of wear in all types of equipment is cold and dry starting. Dry starting results in metal to metal contact when you crank your engine because the oil, which has cooled and receded into the sump, lacks a stabilizer needed to immediately lubricate our pistons. Thus after thousands of kilometers of driving the cylinders are often pitted and scoured, and ominous clicking sounds remind you your engine isn’t all it used to be. Such excessive wear is needless and preventable if you eliminate metal to metal wear. XM-5 a 100 percent petroleum lubricant, will do just this and more. Cars, trucks, tractors, boats. Should quieten engines and gear boxes. Keeps new cars new longer. Cleans and quietens hydraulic valves. Reduces heat, slip, grab and leaks in automatic transmissions. Quietens and smoothes trans, rear ends, gear and transfer cases. Increases rpm’s because of less friction and carbon build-up. Gives easier, faster and smoother shifts. Reduces blow-by, sludge and varnish for better results with smog control and P.V.C. systems. Stops oil dilution. 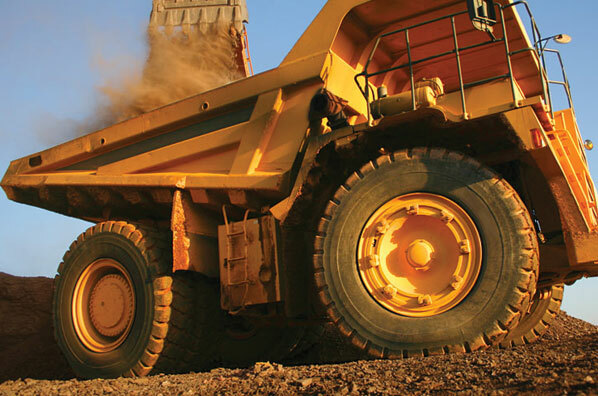 The efficiency of XM-5 Oil Stabilizer has been extensively tried and proven in trucking, industrial machinery, marine engines, tractors and farm equipment, mining and drilling equipment, and logging equipment. XM-5 reduces: heat, seal leakage, slippage in torque converters and hydraulic hoists, gear and bearing noise, and crankcase dilution. Many people use XM-5 to curb oil consumption. - XM-5 seals the cylinder to stop oil from coming into the combustion chamber. - XM-5 keeps the heat and contaminants of the combustion chamber from going into the oil, thus keeping the oil clean. - It eliminates dry starts. This is the #1 cause of cylinder wear in an otherwise well-maintained engine. Because of XM-5's clinging action it will not run off of cylinders and gears after the engine has been shut down. - Perhaps most important of all, XM-5 is insurance against an engine being ruined through over-heating. Oil treated with XM-5 maintains its viscosity (resists thinning out) up to the temperature where a driver should realize he has a problem. The winter season is a particularly important time to use XM-5 because of the devastating effect of piston wash that occurs during long periods of idling. Many drivers do not realize that when their truck, with a diesel engine, is idling during cold weather, the fuel temperature drops and often fails to have the spray pattern necessary for complete combustion. This causes the piston to fill with raw fuel. On the compression stroke some of the fuel is forced past the rings into the oil, especially when the engine has some wear. This can be made evident by pulling out the dip stick and feeling and smelling the oil. It is not unusual for a brand new oil change to be ruined by one night of idling. XM-5 does not wash off or break down from contact with diesel fuel as does plain oil. XM-5 does not make an engine harder to turn over in winter. This is a misconception because it is thick. Actually the engine turns over easier at any temperature because all parts are always lubricated. Despite XM-5's clinging action, oil treated with XM-5 is slicker than untreated oil. XM-5 reduces blow by and helps clean exhaust of worn engines - diesel or gas. Add 25% of XM-5 to each gear box. 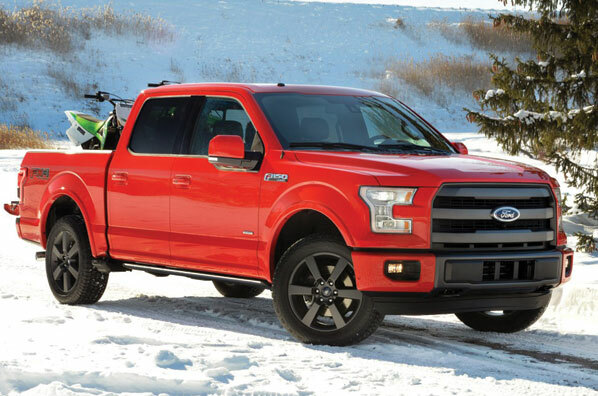 It will not only quiet a noisy standard transmission but XM-5's climbing action will guarantee lubrication to the front gears that often run dry on long up-grades. Temperatures in transmissions and differentials drop because XM-5 reduces friction. Power dividers are especially needful of XM-5's climbing action. The combination of XM-5's climbing and clinging actions are insurance against total loss of lubrication in case of a blown seal or gasket. Hub oil is over-worked and often neglected. XM-5's toughness is a must for this job. Hubs run much cooler and XM-5's clinging action, and resistance to leaking, helps prevent many a burn-out. Dry 5th wheels are an unnecessary cause of front end wear. For easier turns put a few drops of XM-5 on your 5th wheel. For better penetrating,longer lasting gun grease, mix four (4) parts grease to one (1) part XM-5 Oil Stabilizer. XM-5 will help enhance fuel mileage because of improved combustion and reduced friction. Click here for the Pyrene Report. Click here for ULSD requirements. XM-5 OIL STABILIZER ALSO ADDS LUBRICITY TO DIESEL FUEL. The removal of sulfur, to get a low-sulfur fuel, is usually achieved by treating the fuel with hydrogen (hydrotreating) this also reduces the content of desirable, lubricity-enhancing chemicals, XM-5 Oil Stabilizer helps to replace this loss. 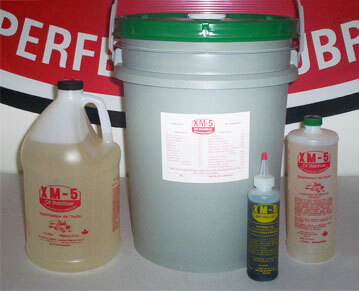 XM-5 OIL STABILIZER when mixed with diesel fuel helps dissolve the resins and gums holding the deposits in place. Deposits form on pistons, rings and valves, reducing the engine's ability to use fuel efficiently. These deposits cause an uneven and incomplete burn in the combustion area. This results in sticking rings and accelerated engine wear. XM-5 OIL STABILIZER helps remove these deposits thus returning components to a more efficient state and allowing the engine to function properly. Fuel injection systems are especially vulnerable to the negative effects created by unwanted deposits. The exacting tolerances required to maintain the proper amount and pattern of the injected fuel spray are affected by small amounts of these buildups. XM-5 OIL STABILIZER helps remove these deposits from the injection system, maintaining proper fuel injection characteristics. The intent of XM-5 OIL STABILIZER is to help keep engines clean, utilizing fuel more efficiently, saving both money and energy. 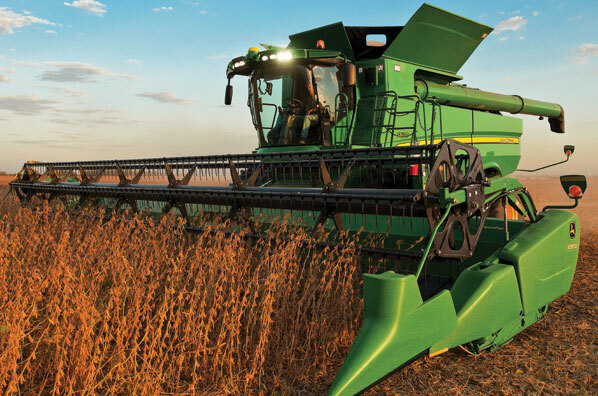 Continued use of XM-5 OIL STABILIZER in your diesel fuel helps provide a constant film of lubrication and protection to the upper engine area. 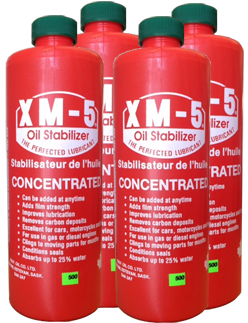 XM-5 OIL STABILIZER disperses and suspends throughout the fuel in a colloidal fashion. XM-5 OIL STABILIZER is carried into the engine with fuel, thereby lubricating the entire fuel system. The role of XM-5 OIL STABILIZER is to coat the surfaces, decreasing metal to metal contact and reducing friction and increasing compression. XM-5's high fire point causes this film lubrication to remain on vital contact areas throughout the combustion process. Diesel engines depend on the heat created by compression to ignite the air/fuel mixture. XM-5, through its unique combination of temperate stability, tenacity to metal surfaces and low coefficient to friction, forms a film between pistons and cylinder walls, thus sealing the combustion chamber. Compression is increased, friction reduced and engine efficiency improved. CYLINDERS AND INJECTORS OF HARMFUL DEPOSITS, PLUS LUBRICATE THE FUEL SYSTEM. XM-5 AIR TOOL OIL is especially engineered for the care of all piston-type and rotary air tools. Prevents rust formation even during storage. Contains no metal, graphite, wax or detergent additives. Has incredible clinging qualities, a fine film of oil stays on all moving parts it comes in contact with. Provides positive lubrication for longer tool life and smoother starting. Ensures maximum output and top performance by dissolving the gums and sludge’s that rob air tools of speed and power. In most cases with automatic oilers the amount of air tool oil used can be reduced, thereby saving money. Cushion seals all moving parts, preventing metal to metal contact. Formulated to increase RPM’s and torque. Has more staying power even in the presence of water by encapsulating the water. The clinging quality will help eliminate the need to hammer your air tools to get them to start, unless badly worn. XM-5 AIR TOOL OIL is designed to keep your new air tools like new, longer and your old air tools working like new longer. Air Tool Oil is available thru distributors only. WE NO LONGER SHIP TO THE USA. For larger containers please check your local Lordco or UniSelect dealer (B.C. residents). Otherwise, please contact me. "I Can't Believe It"!!! Planning a hunting trip with friends and mentioned to Bob that my hunting truck was blowing a lot of oil out the breather. Bob told me to put in some XM-5. I couldn't add any at that time because it was full of oil. I drove 110km. on the highway and 60km. off highway and checked the oil at camp, there wasn't any oil on the dipstick. I added a quart of XM-5 and a quart of oil and drove around the rest of the day. The next morning I added one quart of oil and drove around that day. The following day I didn't have to add any oil plus I drove home 110km. and drove 130 km. on a couple of short trips. I never had to add any more oil. John Scarcelli, - Revelstoke, B.C. Later this same combine developed a leak on the input shaft of the rotor drive gear case. Not a big leak but enough to cause an oily dirt build-up in the engine compartment. Not a good situation from a fire prevention point of view. When the leak was noticed, XM-5 was added to the fluid in the rotor drive gear case and in a couple of days, the leak stopped. In closing, I'm very pleased with the "good things" that XM-5 has done for me. Downtime for our equipment has been reduced and hundreds of dollars of uneeded service/repair has been saved. XM-5 is one of the few products on the market that really does what it's said to do. Again - great stuff. My name is Jerry, and I developed XM-5.